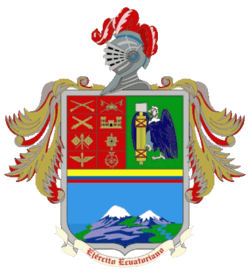 The Ecuadorian Army (Ejército Ecuatoriano) is the land component of the Ecuadorian Armed Forces. Its 24,726 soldiers are deployed in relation to its military doctrine. The contemporary Ecuadorian Army incorporates many jungle and special forces infantry units into its structure. To defend the national territory as part of a Joint Task Force. To represent a strong military image as part of the Ecuadorian Armed Forces, national as well as international. Take part in activities and support the development and co-operation in times of crisis. Take part in Peacekeeping and international security operations. To reach and maintain a high operational level within the Ground Forces. To represent, implement an integrated institution, within the operational system. To guarantee the disposition of prepared military personnel in order to accomplish all missions and assignments. To dispose of an investigations and development element, with focus on national defense. To correctly execute administration procedures involving all institutional issues. To be an institution of the highest level and credibility, systematically integrated, with professional military personnel, orientated on ethics and moral. Capable of adapting itself to new requirements which guarantee peace, security and the nations development. The Ecuadorian Armed Forces history could start as early as 1531, when civil war ravaged through the Inca Empire. In a key battle near Riobamba, where Huascar's troops were met and defeated by Atahualpa's troops. Atahualpa's final victory over Huascar in the days just before the Spanish conquerors arrived, are seen until today, as a source of national pride. This did not save Atahualpa and his army from total defeat, only a year later at the Battle of Cajamarca against the Spanish conquerors. It would take almost 300 years when Ecuador's struggle for emancipation from the Spanish colonial rule would reach its peak at the Battle of Pichincha. Following a victory, Ecuadorian troops would become part of the Gran Colombian coalition. These were years in which warfare dominated. First, the country found itself on the front lines of Gran Colombias efforts to liberate Peru from Spanish rule between 1822 and 1825; afterward, in 1828 and 1829, Ecuadorian troops would find themselves in the middle of an armed struggle between Peru and Gran Colombia over the location of their common border. After a long campaign the forces of Gran Colombia, under the leadership of Marechal Sucre and Venezuelan General Juan José Flores, proved victorious. The Treaty of 1829 fixed the border on the line that had divided the Quito Audiencia and the Viceroyalty of Peru before independence. By 1859 the nation was on the brink of anarchy. This led to a civil war and the first Ecuadorian-Peruvian conflict. Backed by Guillermo Franco, an Ecuadorian General, the Peruvian army led by General Ramón Castilla arrived in Guayaquil. Accusing Guillermo Franco of treason for signing a treaty with the Peruvians, Gabriel García Moreno, allied with former enemy General Juan José Flores, attacked Franco's forces. After several battles, García Moreno's forces were able to force Franco's troops to retreat back to Guayaquil, the site of the final battle. Ecuadors victory at the Battle of Guayaquil deterred the Peruvians and re-unified the country. Ecuadorian troops would face their greatest challenge and defeat, when in 1941, under controversial circumstances, another Ecuadorian–Peruvian War erupted. A much larger and better equipped Peruvian force, quickly overwhelmed the Ecuadorian forces, driving them back from Zarumilla and invading the Ecuadorian province of El Oro. The government of Ecuador, saw itself forced to accept Peru's territorial claims. Subsequently Peruvian troops withdrew from the invaded El Oro province. However, occasional clashes kept occurring and flared into another outbreak of serious fighting in January 1981 called the Paquisha War, for the control of three watchposts set up by Ecuadorian troops inside a disputed border area. The conflict ceased with the Peruvian Army gaining control of the disputed area. In 1995, Ecuadorian troops would become part of the longest-running source of armed international conflict in the Western Hemisphere when both sides encountered again in the Cordillera del Cóndor. Focus of all fighting would become a small outpost called Tiwintza by the Ecuadorians (and Tiwinza or Tihuintsa by the Peruvians) until the signing of a ceasefire. Already back in 1989 the Army was with around 40.000 troops nearly four times the combined strength of the Navy and air force. In 2003, it was structured into four independent Army Divisions operating around 25 Infantry Battalions. These battalions were implemented in Brigades which were not numbered consecutively but carried odd numbers in the series 1 to 27. All Brigades had also a Special Forces and engineer, or at least a communications and Logistic Support Company. As of 2008, along with the Air Force and Navy, the Army (also referred to as Land Forces) is undergoing a reform in order to maximize is joint capability. This process involves the creation of U.S. like Operational Commands. There are 4 Operational Joint Commands to be geographically distributed. The General of the Army is the highest rank of the Ecuadorian Army. Usually the Chief of Staff of the Army is also the General of the Army, and it is common for this general to hold the Chief of the Joint Staff position as well. Since 2009 a restructurization within the Ecuadorian Armed Forces has been launched under the name of "PATRIA I". It shall be completed by 2011 and improve military structure, equipment and operations within the Ecuadorian territory. The Ecuadorian territory has been also newly divided into five "Joint Task Force Zones" or Fuerzas de Tarea Conjunta, four on mainland Ecuador, the fifth being the maritime territory (including the Galapagos Islands). 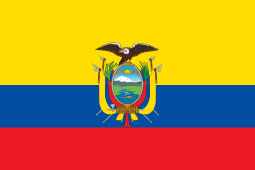 Changes concerning structure and troop-deployment as of 2010 are not available due to the fact that the Ecuadorian Armed Forces keep such information restricted. 1st "North" or Fuerza de Tarea Conjunta No. 1 "Norte", (HQ Ibarra). 2nd "West" or Fuerza de Tarea Conjunta No. 2 "Guayas", (HQ Guayaquil). 3rd "South" or Fuerza de Tarea Conjunta No. 3 "Cuenca", (HQ Cuenca). 4th "Central" or Fuerza de Tarea Conjunta No. 4 "Central", (HQ Quito). 5th "Maritime" or Fuerza de Tarea Conjunta No. 5 "Mar y Galapagos", (HQ ?). Speciality badges mirror the US practice. The Military Intelligence remains until today the greater unit of the Intelligence Weapon of the Terrestrial Forces. The 9th Special Forces Brigade ''PATRIA'', consists of paratroopers, specialized as Commandos, Operational Free Jumpers, Mountain Warfare, Frogmen, Snipers and Dog guides. The Commando Special Forces School, the GEK-9 is an independent operating body transforming soldiers into future Commandos. The Counter-terror unit "GEO" (Grupo Especial de Operaciones), formed in 1985, it was trained by the US Navy Seals and the British SAS and maintains the highest standards. The 17th, 19th and 21st Jungle Brigades, trained and experienced in jungle warfare. The Jungle Warfare Special Operations Iwia Battalion No. 60, recruited from local warrior tribes like the Shuar, Záparo, Kichwa and Achuar. The Jungle Warfare and Counter-insurgency Iwia School is at Coca in the Oriente. The Special boat detachments called ratas de río or fusileros fluviales (engl. sea rats). Three Battalions with a strength of 550 men, equipped with forty Vector and Phantom tactical speed-patrol boats. These undergo a three week training in the Special Forces center in Coca. In addition the United States provide training and assistance. 1st Armored Cavalry Brigade "Galápagos"
Presidential Horse Guards Squadron "Tarqui Grenadiers"
9th Special Forces Brigade "Patria"
24th Special Forces Group "Rayo"
25th Special Forces Group "Santo Domingo de los Colorados"
26th Special Forces Group "Quevedo"
27th Special Forces Group "Latacunga"
1st Infantry Brigade "El Oro"
17th Jungle Infantry Brigade "Pastaza"
19th Jungle Infantry Brigade "Napo"
19th Special Forces Company "Aguarico"
55th Jungle Infantry Battalion "Putumayo"
56th Jungle Infantry Battalion "Tungurahua"
57th Jungle Infantry Battalion "Montecristi"
60th Special Forces Battalion "Capitán Calles"
61st Jungle Infantry Battalion "Santiago"
62nd Jungle Infantry Battalion "Zamora"
63rd Jungle Infantry Battalion "Gualaquiza"
Historically, the Army depended on a wide variety of foreign suppliers for virtually all of its equipment needs. Only in the 1980s did it begin to develop a modest domestic arms industry as the Directorate of Army Industries manufactured rifle ammunition, uniforms, boots, and other consumable items. The Army's present day equipment is mostly of western origins. Ecuadorian AS 532 Cougar of the Army's Aviation Branch. Photo taken during the Cenepa War, Ecuadorian Special Forces during a troop relief, near the Tiwintza area where fighting was particularly intense. Ecuadorian EE-9 Cascavel during a military display. Ecuadorian Puma helicopter of the Army's Aviation Branch. Tarqui grenadiers during a military parade. 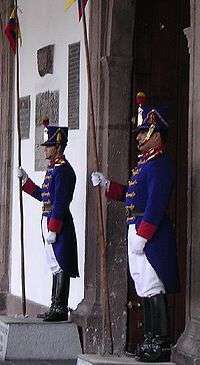 Uniform of the grenadiers dating from the time of the Battle of Tarqui, today worn by the presidential guard of honor at the presidential palace of Quito. 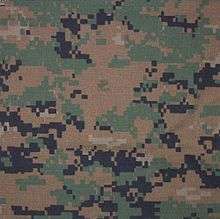 The MARPAT (short for MARine PATtern) is a pixelated camouflage pattern in use with the Ecuadorian Army. 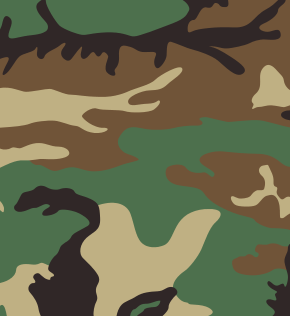 'Woodland' is the name of the default camouflage pattern issued to the Ecuadorian soldiers. ↑ "Ecuador - Army". country-data.com. Retrieved 2014-03-22. ↑ "saorbats.com.ar – Fuerzas armadas iberoamericanas". saorbats.com.ar. Retrieved 2014-03-22. ↑ "Chile wants transparency in arms buying". spacewar.com. Retrieved 2014-03-22. ↑ "UNASUR pledges Latin arms trade transparency - UPI.com". upi.com. Retrieved 2014-03-22. ↑ "UNASUR Agrees to Boost Defense Expenditure Transparency — MercoPress". en.mercopress.com. Retrieved 2014-03-22. ↑ Archived June 12, 2010, at the Wayback Machine. ↑ Janq Designs. "Special Operations.Com". web.archive.org. Retrieved 2014-03-22. 1 2 3 Janq Designs. "Special Operations.Com". web.archive.org. Retrieved 2014-03-22. 1 2 Archived November 20, 2008, at the Wayback Machine. 1 2 "26 años de la Escuela de Soldados Iwias - NOV. 02, 2007 - El País - Historicos - EL UNIVERSO". eluniverso.com. Retrieved 2014-03-22. 1 2 "Naturaleza sin fronteras: Iwias, los "demonios de la selva"". naturalezasinfronteras-belit.blogspot.com. Retrieved 2014-03-22. ↑ Archived July 6, 2011, at the Wayback Machine. ↑ "Welcome to www.mgp-club.com!". web.archive.org. Retrieved 2014-03-22. SAORBATS Order of Battle & Equipment of South American Armed Forces.